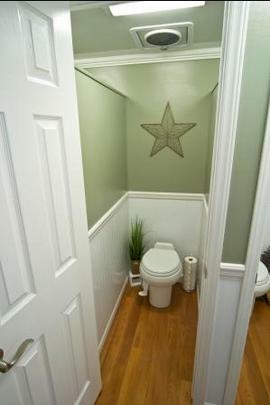 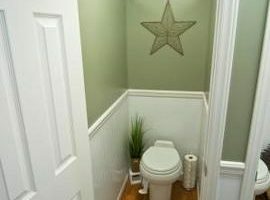 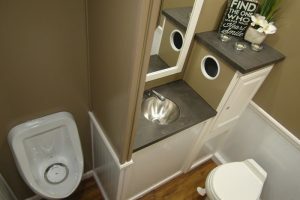 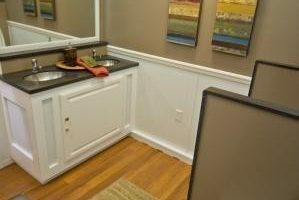 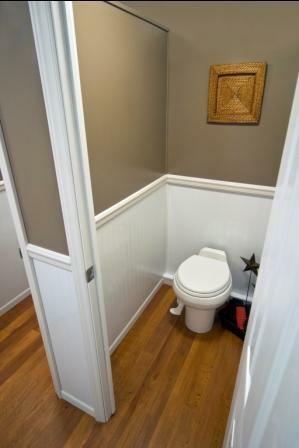 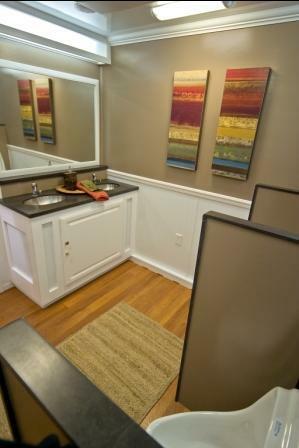 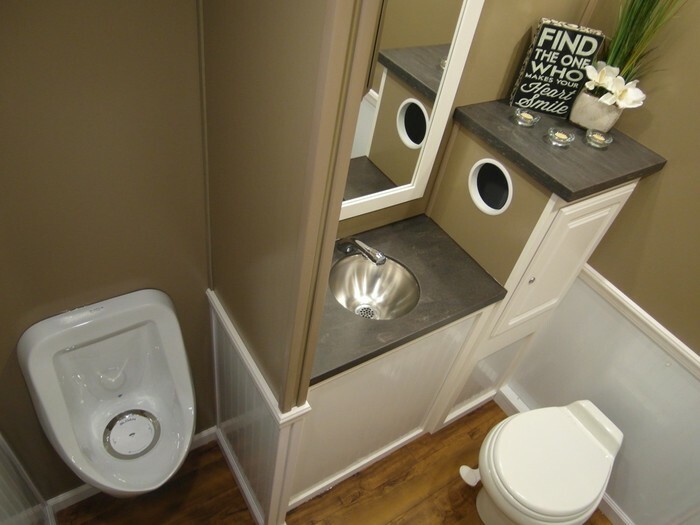 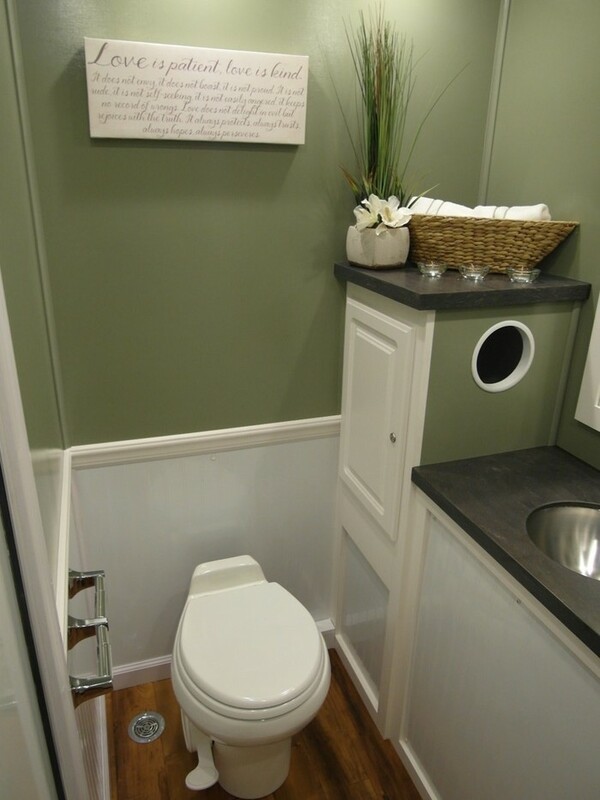 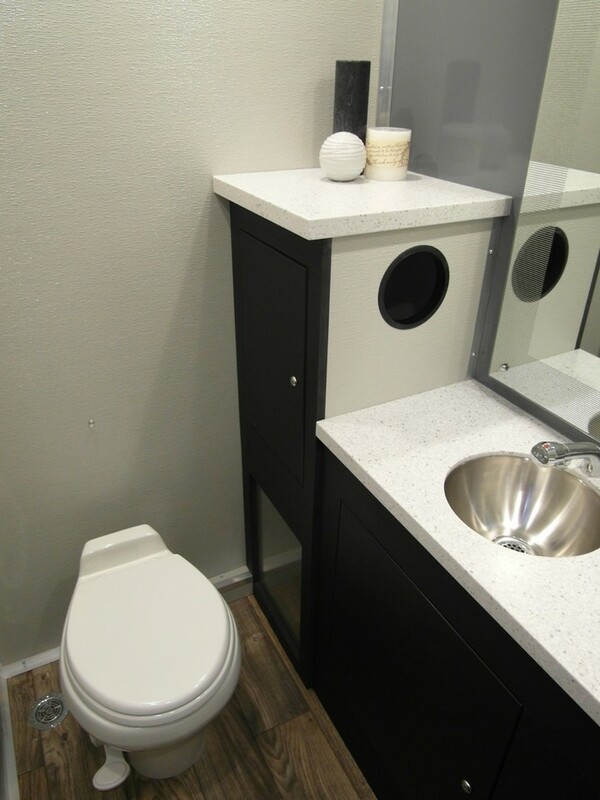 The Executive Restroom Trailer offers guests unequaled good looks and offers the owner unparalleled peace of mind. 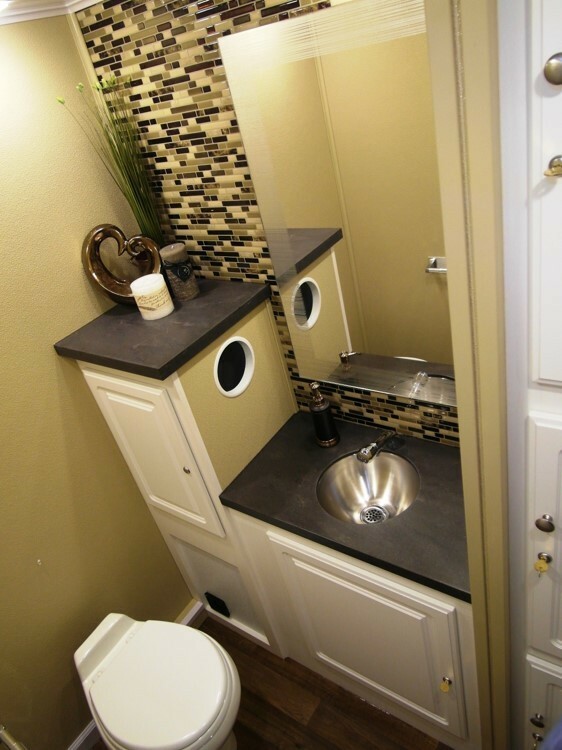 All interior finishes, while upscale and tasteful, are made of water proof or water resistant heavy use materials. 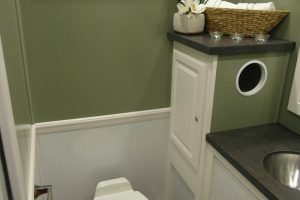 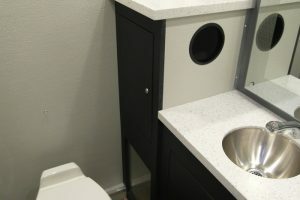 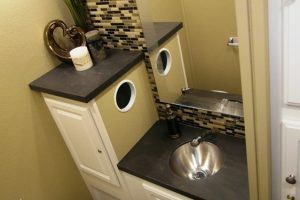 From solid PVC trim and cabinet faces to seamless walls and floors, and solid surface counters, this trailer is built last and look great year after year. 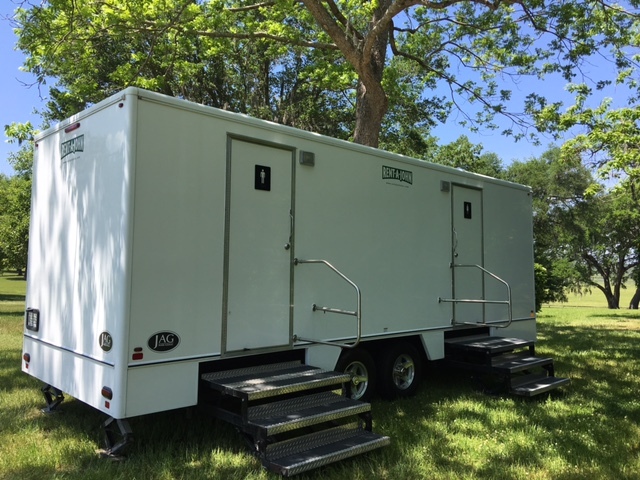 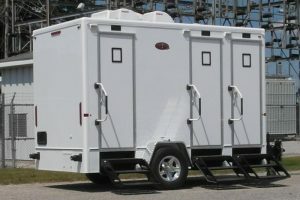 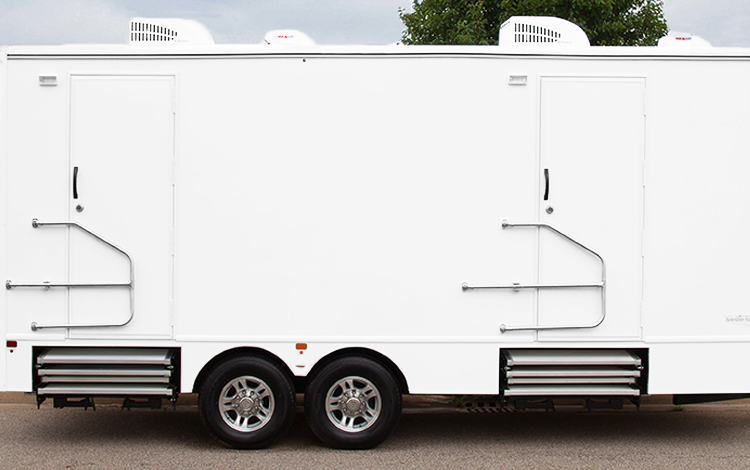 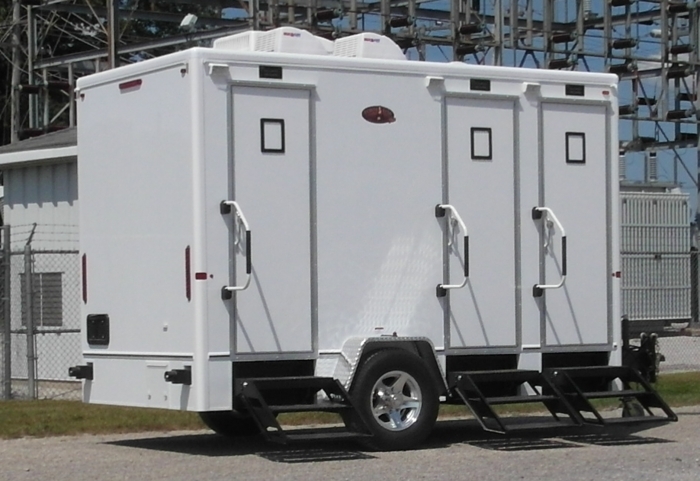 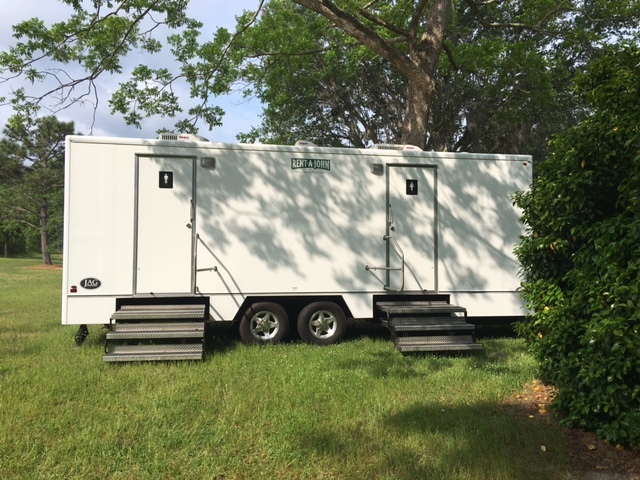 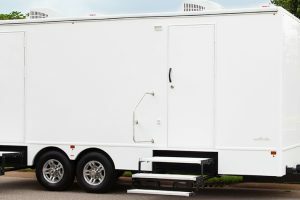 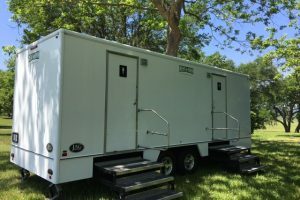 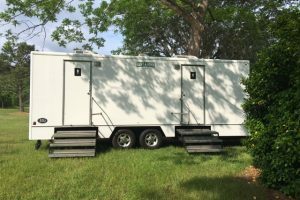 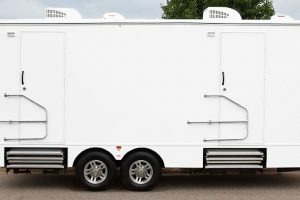 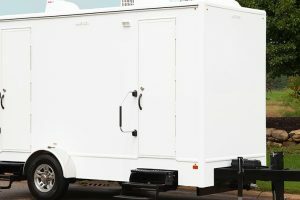 The Executive Restroom Trailer will be the hit of any special event, but is just as usable on a remodel or high traffic site.